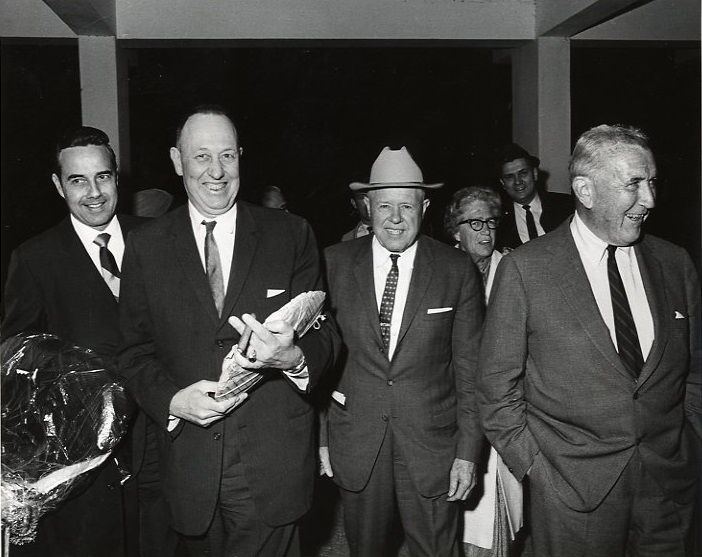 Congressmen Poage and Dole are welcomed at New Delhi Airport by Ambassador Chester Bowles. Left to right: Congressman Robert J. Dole, Mr. James Boulware, Agriculture Attache, Congressman William R. Poage, Mrs. Bowles, Abassador Bowles. United States Information Service (Bombay, India). "Photograph of Congressmen Poage and Dole welcomed at New Delhi." W. R. Poage Papers, Box 622, File 4, India 17-04-072, December 16, 1966, photograph by R.N. Khanna, W. R. Poage Legislative Library, Baylor University, Waco, Texas.. Accessed 19 April 2019. http://acsc.lib.udel.edu/items/show/125. W. R. Poage Papers, Box 622, File 4, India 17-04-072, December 16, 1966, photograph by R.N. Khanna, W. R. Poage Legislative Library, Baylor University, Waco, Texas.